Do you want to sell your products online? What should you do? Should you hire expensive programmers to develop a shopping cart for you to sell your goods online? Well, you don’t need to do that now. Shopping cart software allows you to build a beautiful online e-commerce platform to sell, and market your products to online buyers. You don’t have to worry about any issues such as receiving payments, managing stocks, and designing shopping cart after you get started with shopping cart software. 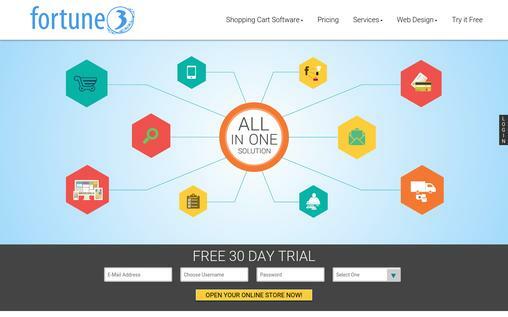 There are plenty of shopping cart software providers, and you will find the list of 10 best shopping cart software, along with their features here in this article. 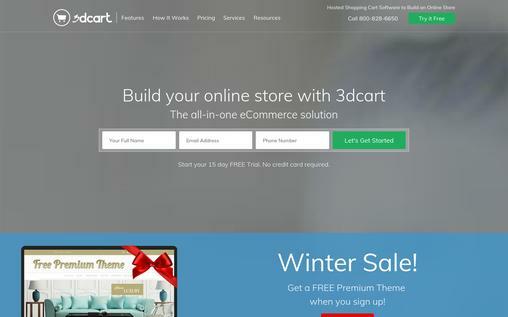 3dcart is an all-in-one shopping cart software which allows you to build and sell your products right away. The simple platform of 3dcart lets you design the shopping cart quickly to start selling your product. You can even choose from the professionally designed themes provided by 3dcart to save your time. If you want to integrate any apps with 3dcart, then you can easily do it because of its powerful RESTful API. 3dcart allows you to sell your products on many different platforms like social media and also other e-commerce platforms like eBay. The themes are fully responsive that fits well on mobile phones and tablets automatically. 3dcart lets buyers choose from various payment methods like cash, credit cards, money order, and more to increase your conversion rate. The 24-hour customer service is dedicated to solving any issues through email, call, or chat. You get dedicated CRM, store, blog, newsletter, and all that is required for selling. The easy and intuitive interface lets you access the features and manage your store quite easily. There are 3 packages to choose from, and i.e. Mini, Professional, and Professional Plus. The starting Mini Package costs $19.99/month. 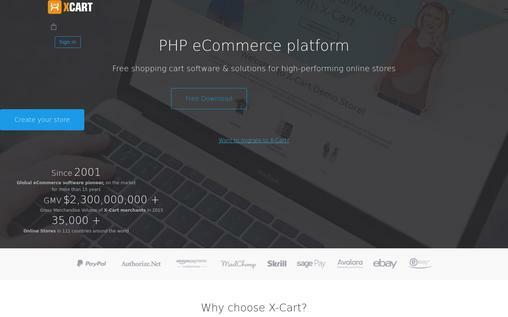 X-Cart is a PHP shopping cart software full of exclusive features. It offers 35+ paid templates, and you can easily modify the templates to create the desirable online platform for you. The templates are responsive and automatically adjusts in every device like smart phone, tablet, and others. The product and inventory management become easy with X-Cart, as it shows stocks, bestsellers, low stocks, and more information in an interface to manage your products and inventory. You can integrate your shopping cart with eBay, and manage your eBay listings as well. The open source PHP code lets you add features whenever you want without any problems. X-Cart lets your buyers choose from various payment methods like credit card, PayPal, Skrill, and others. The powerful admin section provides all information related to customers, product, inventory, and others to manage your e-commerce store. X-Cart provides an option to create an online mall to facilitate various vendors to create, sell, and manage their products through a single web store. You can either choose the free package or paid packages, and the starting paid package starts from $495, and it is a lifetime license. Shopify is a popular shopping cart software. 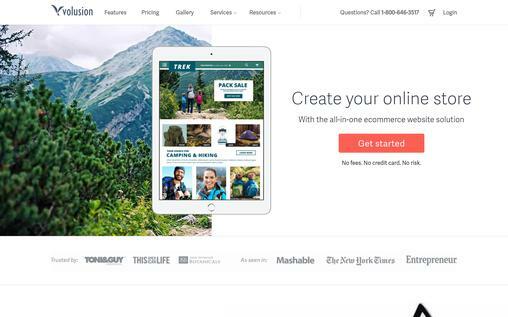 The 100+ professional, customizable templates provided by Shopify lets you easily build a shopping cart, and you can even add your business logo, colors, and more. The backend admin interface allows you to create a product cataloge, manage products, inventory, and more. The XML sitemap is automatically created and there is a higher chance for your shopping cart to rank high in search engine with Shopify. The product ordered by your buyers is notified to you via email, RSS, and SMS. The advanced Ecommerce CMS and shopping cart come with built-in SEO features. Shopify supports all major credit cards and over 70 payment gateways. Built-in mobile commerce shopping cart feature to allow your customers to browse and shop from your store using their mobile phone. Use the Shopify app to view your orders, products, sales statistics and customer data from your iOS or Android device. 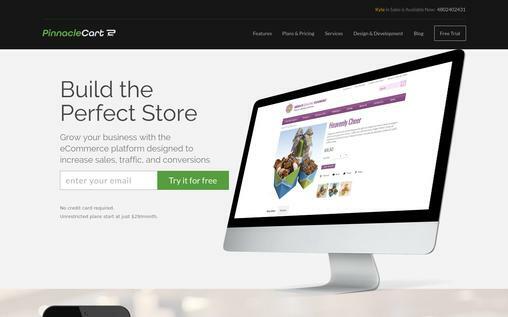 You can choose from Basic Shopify, Shopify, and Advance Shopify to get started, and the starting price is $29. volusion allows its users to sell online, manage inventory, and much more. This shopping cart software provides a secure platform for both buyers and sellers with an SSL certificate, and it is developed on a PCI certification foundation. You are offered both free and premium design to create your shopping cart, and you can also customize it according to your preference. You can create detailed product listings, and you can also include images, video, and more. The inventory management system lets you create product count, and alerts you when the inventory is running low. Your customers can use all the major credit cards and major payment gateways like PayPal and Google Wallet can be used to purchase your product. Your shopping cart is optimized for major search engines so that your customers can find your store and products easily. volusion lets you create enticing deals, discounts, and offers to your customers to increase sales. volusion offers 4 packages, and they are Mini, Plus, Pro, and Premium. Mini Package costs $15/month. BigCommerce provides a secure shopping cart suitable for all types and sizes of businesses. Some of the biggest clients of BigCommerce are Toyota, Gibson, and Travelpro. 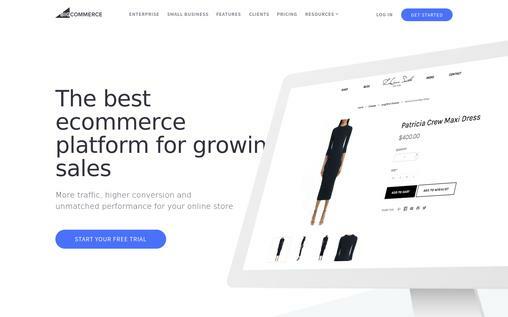 You can create beautiful e-commerce platform by selecting themes from the BigCommerce theme store, and you can also customize it. You can easily transfer the products from all other major e-commerce platforms like Shopify, Amazon, eBay, and others. Your store is optimized for all devices like mobile, tablets, and laptop. The advanced SEO tools optimize your store for search engines. The integration with Google Shopping lets you advertise your products on Google to attract more customers. Your customers can choose major credit cards and payment gateways like PayPal, Worldpay, and others to purchase the products. The advanced analytics offered by BigCommerce provide advanced information like conversion rate, visits, orders, and others for analyzing and improving your performance. BigCommerce offers 4 packages, and starting Standard Packages costs $29.95/month. GoDaddy is a popular web hosting company, and it also offers, shopping cart software to create, manage, and sell your products online. You just need to select a design, drag and drop product images and add descriptions. You can choose from many professional themes and customize them to create the perfect look for your store. You can also create a store on the world’s largest social media platform, Facebook. The top quality 24/7 support service is always available to solve your issues. GoDaddy provides your buyers the option to purchase through all major credit cards and PayPal. The coupon code lets you provide offers to your customers to attract them. Your buyers can provide ratings and reviews about the products. The advanced Google Analytics lets you analyze your performance for improving your business in the future. 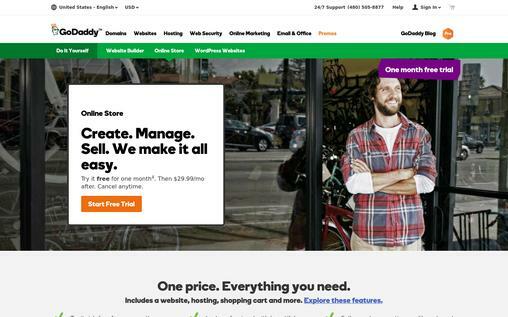 You can get started with GoDaddy for $29.99/month. fortune3 provides all the necessary tools you need to sell your products online. You can easily import the products to fortune3 from your accounting software or spreadsheet. It allows you to add product image, and offer gift wrapping facility and coupon codes to your customers. You can easily build attractive templates without knowledge of HTML, and you can choose from many customizable templates, add flash, add a logo, and more. You can generate detailed sales report and export it to CSV, HTML, or XLS files. You can have full control of your product inventory, you can see sold out items, quantity in stock, and more. fortune3 mobile app lets you manage orders and customers with your smart phone. fortune3 allows many payment options for customers, which includes credit cards, PayPal, Google Checkout, and more. Your shopping cart is automatically optimized for search engines. Facebook shopping cart can be created with fortune3. There are 6 different packages provided by fortune3, and the starting price is $9.95/month. 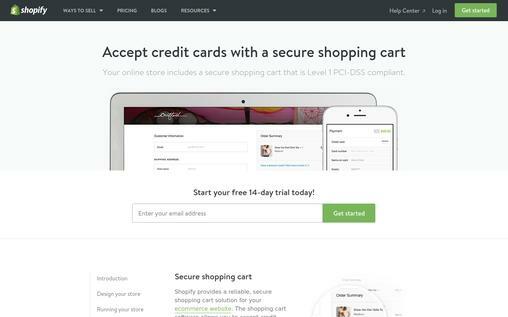 The final shopping cart software on the list is PinnacleCart. It contains awesome features to create a shopping cart and also to increase sales and traffic. It allows you to sell subscription based products by recurring billing your customers automatically for a desired time period. You can easily select the beautiful themes provided by PinnacleCart to create your own beautiful shopping cart. You can extend your service anywhere with mobile commerce and Facebook store. Your shopping cart is automatically optimized for major search engines like Google, Bing, Yahoo, and more. You can easily integrate your shopping cart with QuickBooks to quickly sync your order data to your online or desktop versions of QuickBooks. The advanced google analytics tools provide all important information like traffic, geography, clicks, and more for analyzing your performance. Your buyers can choose a variety of payment methods like credit cards, PayPal, Skrill, and more to pay for your product. PinnacleCart provides 4 packages, and they are Start Up, Small Biz, Entrepreneur, and the Enterprise. The starting price is $29.95/month. 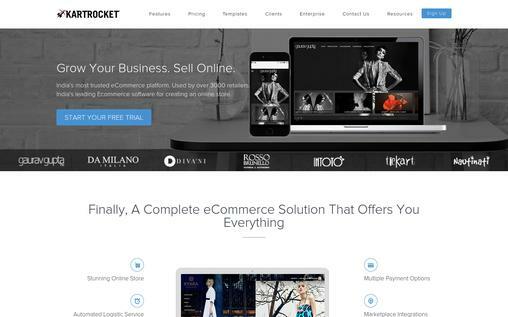 KartRocket offers a complete e-commerce solution that helps you to easily build your shopping site and start selling. You can easily select professionally designed templates and customize it according to your choice in your shopping cart without any knowledge of HTML. You also have the choice of displaying attractive banners to the visitors to quickly grab their attention. It is easy to create a cataloge, as you just need to upload images and add information about your product. Your customers can compare the features of the products to choose the best one for them. You can get a real-time report and stats like number of orders, searches, visitors, and others. It can also be integrated with Google analytics. You never run out of stock, as you get alerted when your stock is running low. Your customers can choose various payment methods like credit cards, PayPal, DirectPay, and more. You can easily sell on social channels like Facebook, Instagram, Whatsapp etc. by sharing your product with a direct payment link, using their seller app. The options to create coupon and offers, allow you to build loyal customers. You have Economy, Premium, Platinum, and Enterprise Package to choose from. The starting price is Rs.3500/month. 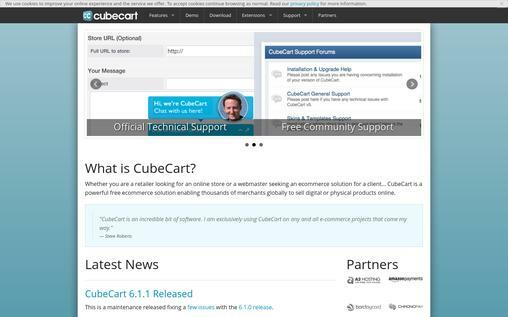 cubecart is an open source shopping cart software. You can design the shopping cart and customize it according to your need. You can add unlimited products, photos, and handle unlimited customers in your own web hosting platform. cubecart makes reordering process easier for your customers, as they can quickly login and reorder their previously ordered product. It is easy to manage your products with cubecart, as it lets you update bulk product prices, allow customers to provide product ratings and reviews, automatically control the available stocks, and more. It is open source software, and you can use it for free. You can offer coupon codes and discounts to build loyal customers. As this is an open source platform, so it gives you the flexibility to integrate any or multiple payment gateways of your choice. You can integrate social media plugins like Facebook likes, comments, Pinterest, AddThis, and more. Cubecart allows you to integrate your shopping cart with affiliate networks like JROX, Post Affiliate Pro, and more. BuyerZone is a platform that connects buyers and sellers. 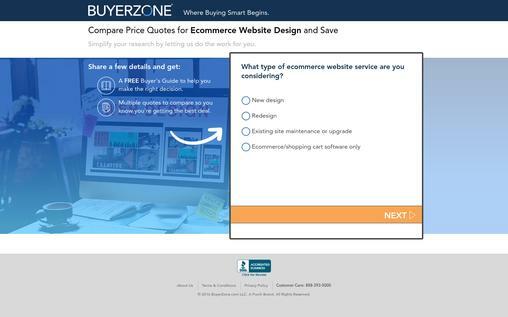 BuyerZone does research for the buyers, provides comprehensive guides and articles before selecting the right product. The buyers will get the reliable free price quotes from all reputed buyers to make a right choice. The sellers can grow their business, as BuyerZone puts your business in front of potential buyers to generate more leads. BuyerZone provides sellers the complete lead details like phone number, email, name, and purchase requirements to increase a chance of a quick sale. You can choose the territory from which you want to get the leads. You can select the lead volume you want according to your capacity. BuyerZone provides different lead generation methods like CRM, email, marketing automation integration, XML, and more. The lead intelligence lets you see the critical details like lead history, feedback, ratings, and more for better analysis. Many people think that it is quite tough to develop an e-commerce business. However, shopping cart software makes that job quite easy for you. You don’t need any technical knowledge to get started with shopping cart software. There are many packages provided by each shopping cart software provider, and you can choose the package according to your size of the business. So, the first thing is to analyze your needs, and then you can choose one of the shopping cart software, and get started right away. All of the promotional chaos are not that big when you have the right email marketing tool to step up your business like MailGet Bolt – An astounding email marketing software service, which is recommended by marketing experts.